MINNEAPOLIS/ST. PAUL – The Minnesota Lynx today announced the team has signed veteran free-agent Plenette Pierson. Per team policy, terms of the deal were not disclosed. 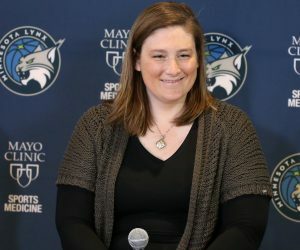 Pierson, a two-time WNBA champion, joins the Lynx after spending 13 seasons with three different teams (Phoenix, Detroit/Tulsa/Dallas, New York). In 410 career games, the Houston, Texas, native holds averages of 10.0 points, 4.3 rebounds and 1.5 assists in 22.9 minutes per game. In 34 games with the Detroit Shock in 2007, Pierson averaged 11.6 points, 5.8 rebounds and 1.7 assists per game off the bench and was named WNBA Sixth Woman of the Year. 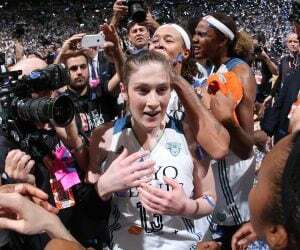 The 14-year veteran’s career includes three trips to the WNBA Finals among her eight postseason appearances. 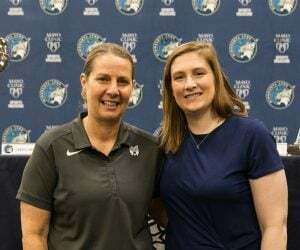 She won WNBA Championships in 2006 and 2008 with the Detroit Shock, where she played under then Shock assistant and current Lynx head coach Cheryl Reeve. The 6-2 forward/center holds postseason averages of 9.4 points, 4.9 rebounds and 1.6 assists in 21.3 minutes per game. Over the last two seasons, Pierson has elevated her game from three-point range, connecting on 35.0% (47-of-136) from deep. Prior to the 2015 season, she had attempted just 66 three-pointers in her career for an average of 0.2 per game, but over the last two seasons she has attempted 136 three-pointers in 57 games. Pierson began her WNBA career in 2003 when she was drafted by the Phoenix Mercury with the fourth overall pick in the 2003 WNBA Draft. She spent three seasons with the Mercury before being traded to the Detroit Shock. Pierson played five seasons with the Detroit Shock and made the move with the franchise to Tulsa in 2010 before being traded to New York. In 2015 she signed with Tulsa and was named a WNBA All-Star for the first time in her career. The Tulsa Shock moved to the Dallas prior to the 2016 season where Pierson last played, averaging 11.9 points, 4.6 rebounds and 2.0 assists per game. The WNBA All-Star is currently playing for KB Stars Seoul in South Korea’s WKBL league, leading her team with 13.0 points and 7.6 rebounds in 35 games. 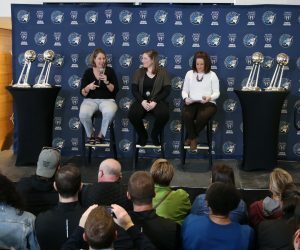 The Lynx will tip off the team’s 19th season in the WNBA with their home opener on Sunday, May 14 at 6:00 p.m. at the Xcel Energy Center in St. Paul. 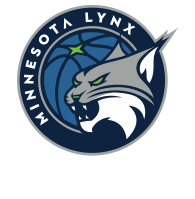 Full-season memberships, which include tickets to all 17 home games and priority playoff seating, are still available by visiting www.lynxbasketball.com/membership or by calling 612-673-8400.